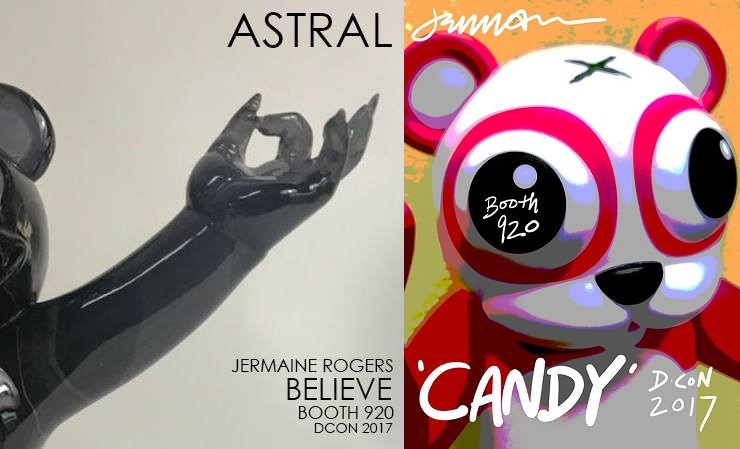 All week long Jermaine Rogers has been teasing his Designer Con 2017 exclusives, and here’s what we know so far! JR will be releasing a translucent grey Dero: Believe Astral Edition resin figure, a Shadow and Iridescence Edition Veil: Specimen #72 (aka “I Think I Am Losing My Mind”) vinyl figure, and a Candy Edition Veil: East vinyl figure. All this and so much more can be purchased at Jermaine’s DCon booth #920 this weekend in Pasadena, CA.